Registration for Camp Magnet opens 2/6 -- get all the info here! 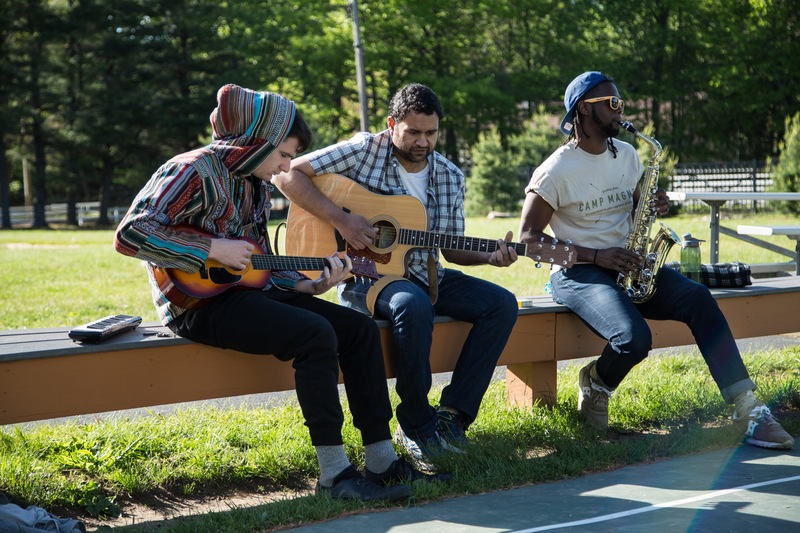 Camp Magnet is a four-day, three-night improv retreat in The Catskills. In other words, it's THE improv event of the year and one of the best experiences you'll ever have. We've been running Camp Magnet since 2010 and it's become an annual tradition that's as integral to our community as is fun to attend! Great meals are taken care of, the cabins are cozy, and when it’s time to relax, it’s ‘lake time’ instead of Netflix (yes, there is cell service, but c’mon). 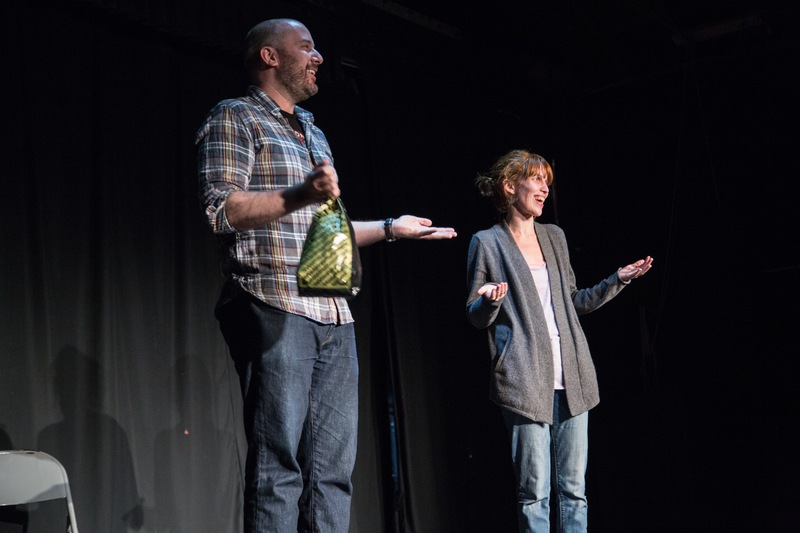 By disconnecting from the city, we can re-connect with the craft, what draws us to it, what makes it rewarding, and what makes us better improvisers. This year (2019), camp is Thursday, June 13th through Sunday, June 16th. 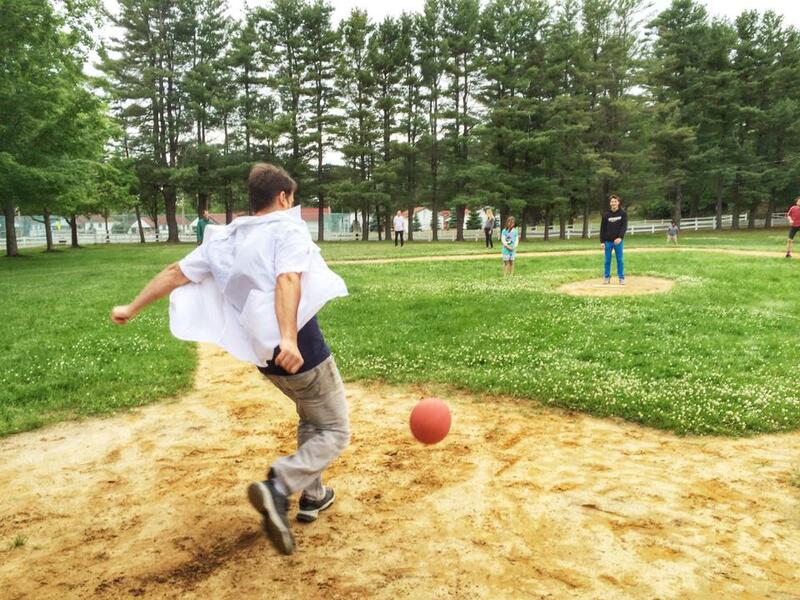 Camp Magnet takes place at Iroquois Springs, a fantastic overnight camp in Rock Hill, NY. It's only about 90 miles from New York City, but it's a world apart once you're there. While Iroquois Springs operates as a sleep-away camp for kids most of the summer, they let Magnet take over for one weekend a year and we're so happy that they do. Take a virtual tour of the campgrounds by clicking here. What happens at Camp Magnet? During the day, it’s all about diverse workshops focusing on all different aspects of creating great work together. 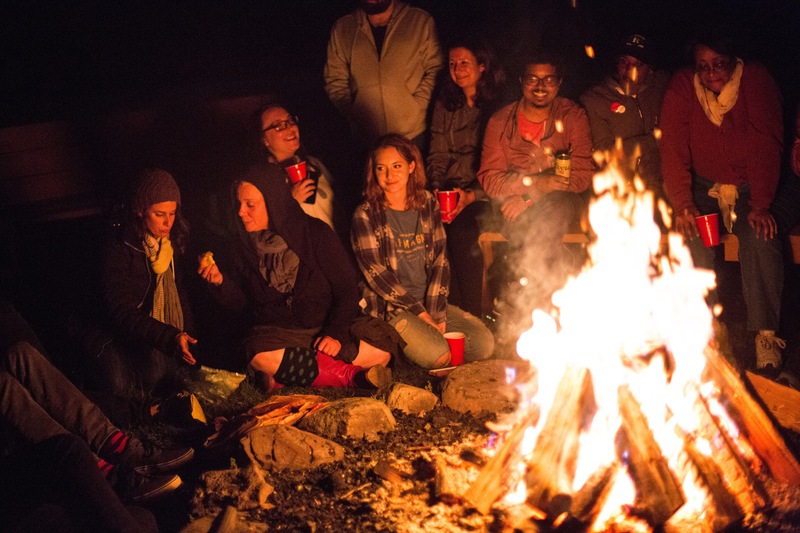 At night, it’s improv jams, dance parties, s’mores by the fire, sing-alongs, and some legit friend-making. Imagine doing warm ups where it’s actually warm. Imagine doing breathing exercises where the air is provided by actual trees. 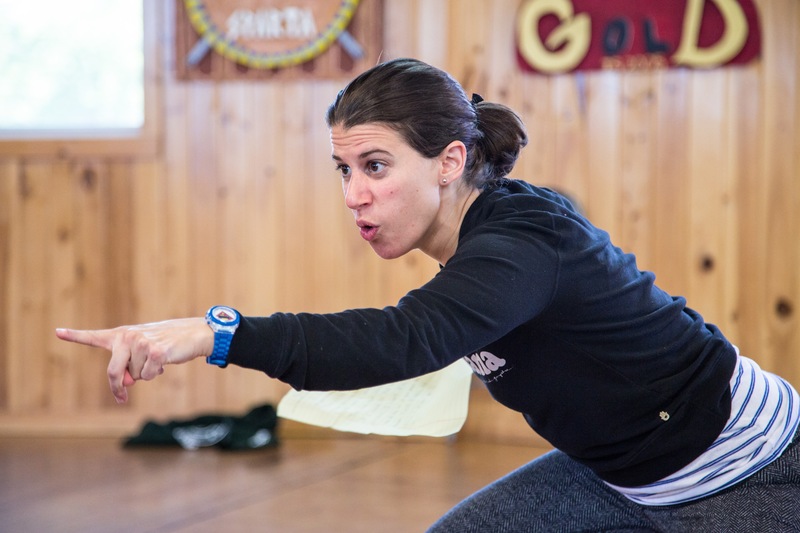 Each year, our retreat boasts an incredible lineup of Magnet and guest instructors and while the full list for 2019 isn't up just yet, the class registration page will have all the info as teachers confirm. As of this writing, we've got Megan Gray, Rick Andrews, Michael Lutton, Bianca Casusol, Louis Kornfeld, Hannah Chase, and Rachel Hamilton. In past years, we've had Magnet instructors such as Armando Diaz, Ed Herbstman, Elana Fishbein, and more, PLUS visiting luminaries like David Razowsky, Jean Villepique, and Gary Rudoren. The instructors are always top notch and the workshops are a blast. What is there to do besides improv? 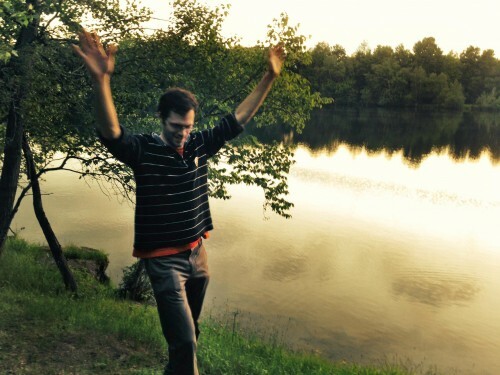 The Iroquois Springs campgrounds have so much to do, it'll make your head spin. Whether you want to swim or canoe on the lake, roast a marshmallow and share stories over the fire pit, or play some hoops on the basketball court, you've got a lot of options. If sing-alongs are your thing, campers usually bring guitars, ukeleles, saxophones, and whatever else they can play or strum. We've found that the most fun usually comes from sharing meals, staying up late, and getting to know new friends. Who would enjoy Camp Magnet? Camp Magnet is great for anyone who wants to deepen their connection with the Magnet community or meet some great folks before diving in. We know campers who started their Magnet journey at Camp and went on to be performers at the theater! We also know many campers who formed deep friendships and bonds with people at Camp who they'd otherwise only met in passing. 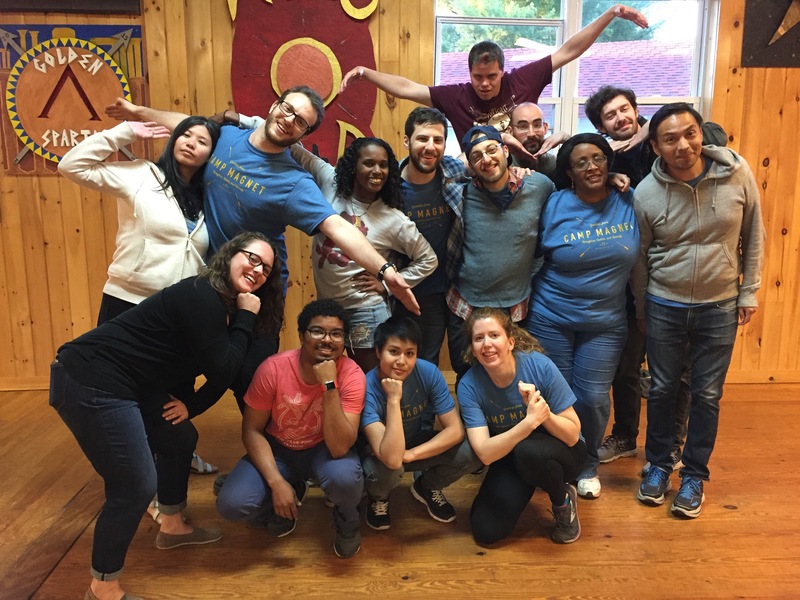 Beyond the Magnet community, it's also ideal for people from outside the NYC area as a place to come for one weekend and get some of the very best improv training in the world. Each year, we have a few campers from "not NYC" and they're always a joy. Just another little thing that makes Camp so great. Camp is $569 this year. However, we're having a **FLASH SALE** Wednesday, February 6th through Friday, February 9th, during which time, camp will only cost $499. This will be the absolute lowest price anyone will pay for camp this year, so you better jump on it while you can!! Bookmark the class registration page or send yourself the link as a reminder to register during this window! How do we get there and back? We have you covered. We typically charter a bus and all head up together. Yes, there is an additional fee to cover the cost of the bus - around $65. Once we engage the charter company, we will be contacting campers with a link to sign up. By the way - there are other ways to get to camp if you choose. You can drive (carpooling happens every year, usually facilitated by a Camp Magnet Facebook group), or you can take a train. If that’s your preference, we’ll send you some details on that once you sign up, or feel free to call the Training Center and we’ll give you the info. Note, if you take the train, you’ll need to organize a ride from the train to the camp, and while cabs are available, they do cost money. But that’s why we get the charter bus – makes getting there and back a super easy. Once you sign up, there will be a lot of communication from Magnet about what to bring, transportation, how we might meet any special accommodations you might have, and how to get a private cabin if you want (hint: limited availability, extra fee). For any questions, call 212-244-2400. Photos courtesy of Aaron Zemach, Ryan Smith, and Melissa Ulloa.